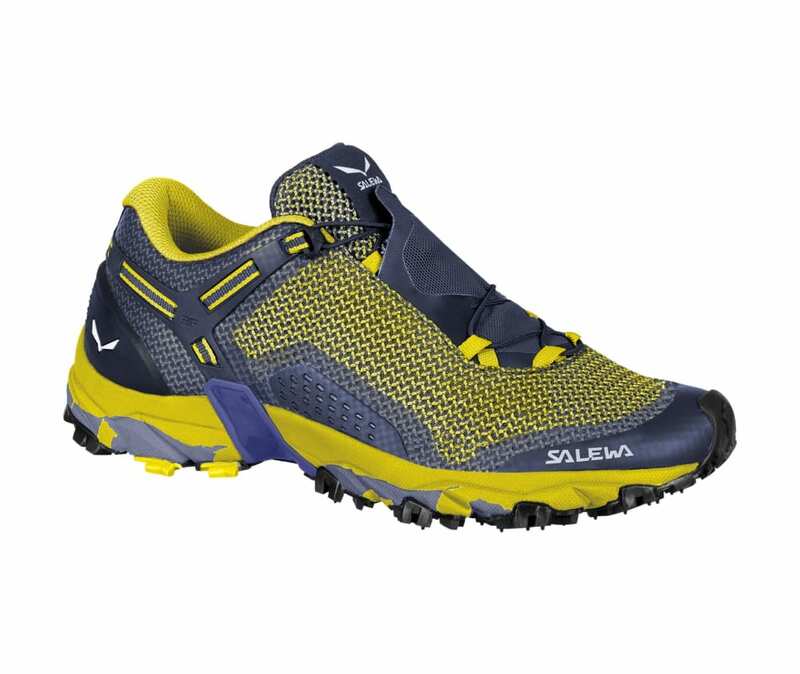 The Ultra Train 2 is specifically designed to offer grip and support for speed hiking adventures and mountain training. Its MICHELIN Ultra Train sole was developed by MICHELIN exclusively with SALEWA and is made from sticky MICHELIN Outdoor Compound X, which performs well on wet and slippery surfaces. The sculpted and grooved outsole provides excellent grip and traction and a fast rolling transition on uneven terrain. Motion Guidance technology in the sole and midsole promotes natural movement and sure-footedness. The upper is made of a strong, seamless fabric that wraps the midfoot. Together with the functional 3F system, it ensures flexibility, a precise fit and good support. The Anti-Rock Heel Cup fixes the heel firmly in place, adding extra stability and protection. In addition, the Ortholite footbed provides additional cushioning and wicks away moisture, helping to keep feet cool and dry. And the stretch gaiters keep out trail debris, such as grit and leaves.